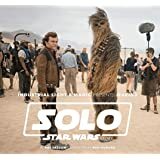 In this unique, multi-volume resource for serious Star Wars fans, historian W.R. Miller presents a complete chronological account of the Star Wars cinematic franchise, from 1971-1990. This first volume covers 1971-1976, with a foreword by Star Wars producer Gary Kurtz. 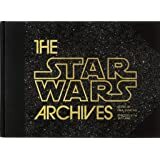 Part narrative, part oral history, part exhaustive reference, the Star Wars Historical Sourcebook draws upon dozens of interviews with Star Wars cast, crew, and the cadre of supporters who promoted the films, wrote the novelizations, and worked behind-the-scenes with George Lucas to bring a galaxy far, far away to a theatre near you. Miller includes hundreds of excerpts from books, newspaper articles, and magazines, with annotated references, copious notes, and introductory articles for each year. For those who want to know everything about how Star Wars was conceived, filmed, and promoted, this is the only book you’ll need. 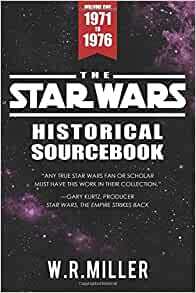 "This historical sourcebook is an extraordinarily complete work, annotating almost everything that has been written about the original Star Wars Trilogy (now called Episodes 4, 5, and 6). I have personally found this sourcebook very useful for my own research into questions I am asked in interviews. Bob Miller has done a monumental job on this sourcebook and any true Star Wars fan or scholar must have this work in their collection." Commencez à lire The Star Wars Historical Sourcebook sur votre Kindle en moins d'une minute. 5,0 sur 5 étoilesA great blow-by-blow look at the conception and creation of the first Star Wars film! I admit that I blindly picked this up on a whim after hearing Star Wars publicist Charlie Lippincott mention that he had participation in new interviews for this book (I had no idea what a “sourcebook’ was supposed to be in this case), but I was pleasantly surprised to discover that this is an incredibly well-researched chronology of the conception and creation of the first Star Wars film. From Lucas conceiving of the film while working on American Grafitti to his first stabs at writing treatments to hiring Ralph McQuarrie to help pitch the film to various studious, culminating in an almost day-by-day overview of how Star Wars was shot and pieced together, and all of this intercut with headlines and excerpts from magazines and newspapers reporting about the progress of the film as it was being made, all of which combine to give a one-of-a-kind overview of how the film coalesced and what people were saying about it as it was being bashed together. Amusingly (and in spite of how well-researched the rest of the book is), the very first page I turned to when I first opened the book was a passage describing Freddy Krueger as the villain of the Friday the 13th films, which is the only real goof I’ve caught while pouring over this thing (and hey, I’m willing to cut the author some slack, if only because his passion for Star Wars minutiae vastly outweighs his seeming lack of expertise in who’s who in the 80’s slasher genre). 4 personnes ont trouvé cela utile. 5,0 sur 5 étoilesImportant resource for us Star Wars history nerds! I’ve been waiting for a book like this for a long time and already looking forward to the next volume! 5,0 sur 5 étoilesThe Star Wars Historical Sourcebook is packed with unique, never before published information. Although it is unlicensed it beats all the Disney Star Wars books.